You can never have too many conkers, and that tree looks enormous! Thank you, using haw berries is new to me too – I should probably post the recipe for haw sauce! I wasn’t sure if it would be worth it either, but I’m glad we tried it – need to get more berries this time now I know it’s so good! I didn’t know one could make haw berry sauce so that’s something new I’ve learnt today! 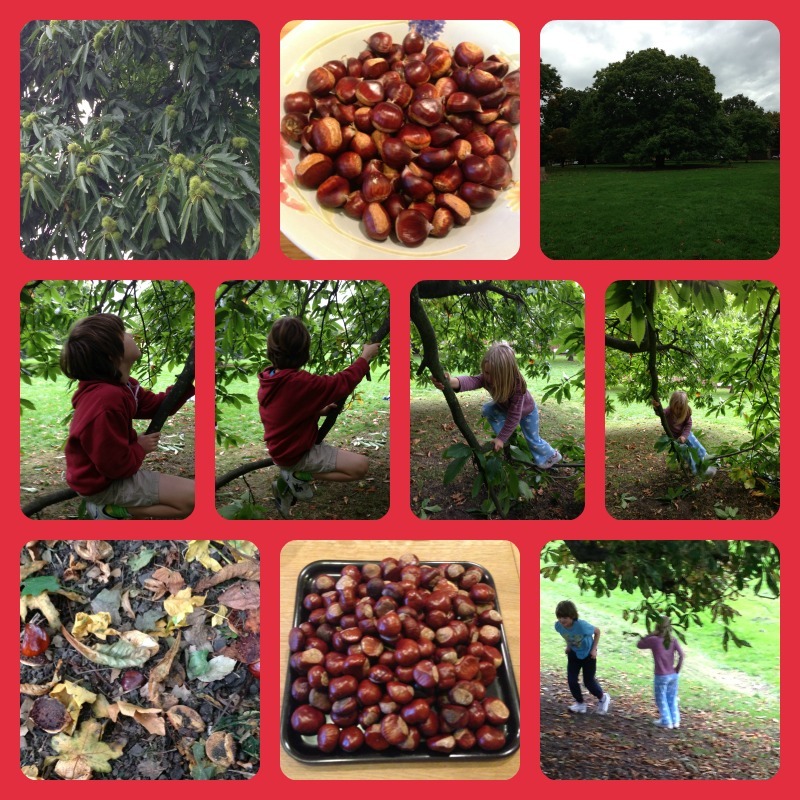 Loved how you’re teaching your kids about ‘foraging’ food from the wild too. Thank you – I’m learning with them! I also had no idea you could make haw berry sauce! Thank you. 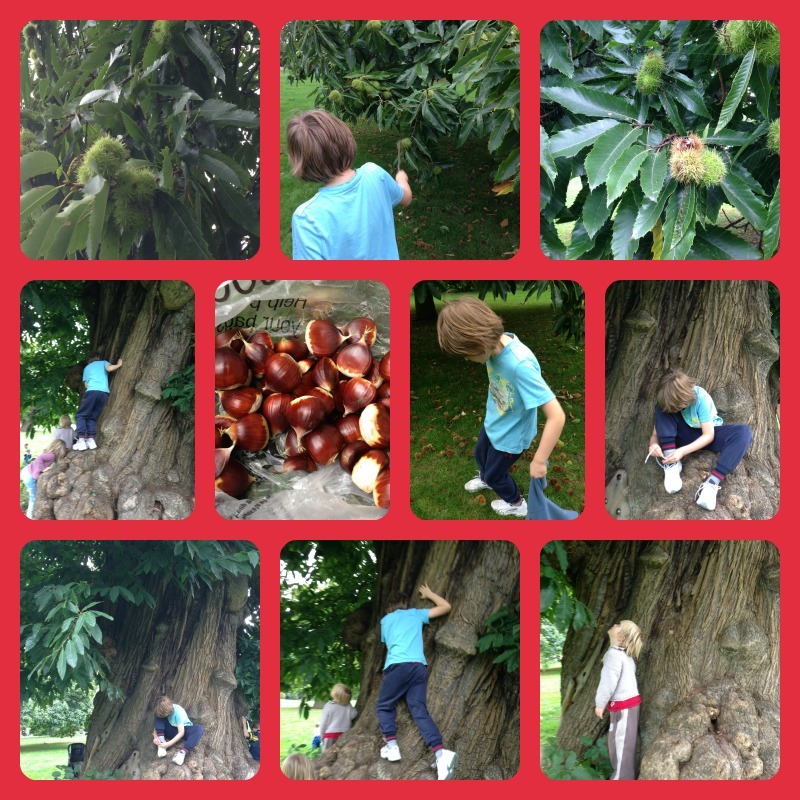 We have even more conkers than chestnuts though. Need to start doing some conker craft activities! Thank you – the pumpkins were easy as we planted the seeds straight into a raised bed and left them to it. Occasional watering but mostly neglect, and they have done fine – so we’ll be growing them again next year! 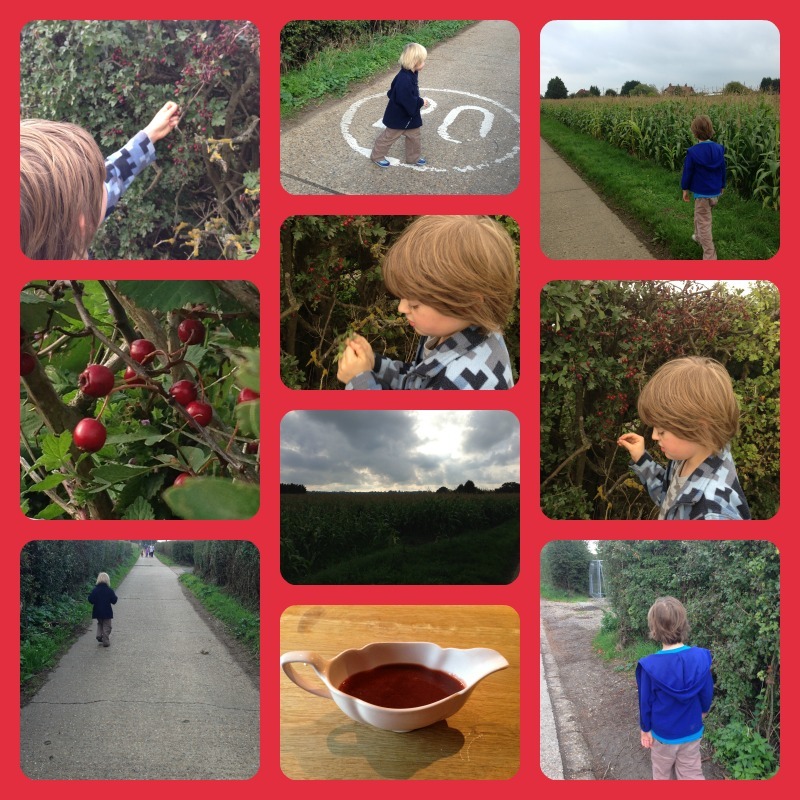 We’ve had an amazing time with foraging this autumn! Being not pregnant and not with newborn has given me loads of extra time 😉 we also use the haw for Hawthorne and rosehip syrup which is gorgeous as a tea in got water and great for staving off colds too! Ooh, I’m so glad you said that, we picked rosehips today and also a few haw berries but not enough to be worth making sauce on their own so I will add them to the rosehip syrup, thank you for the tip! It is, isn’t it? We’ve been at it again today ! What a wonderful way to learn!! As you pointed out, it is so satisfying to forage for free and have fun while doing so. The bonus being that the children learn through play and everyone has some great fun outdoors. Thanks for linking up and sharing with Country Kids.